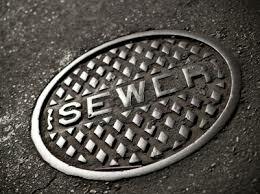 Call us any time at A1 Sewer & Drain for plumbing and sewer repair in NJ, at 201-645-0888. 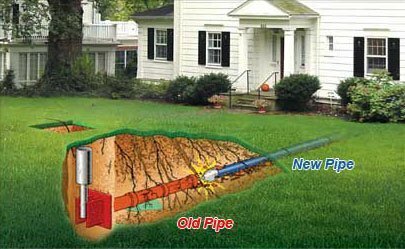 Sewer Pipes, Water Lines and Plumbing – as a long time NJ sewer cleaning and repair company we can assess the condition of your underground sewer pipes and water lines. We are trained, licensed and insured technicians specializing in sewer pipes and water drain pipes. of NJ. Call us any time to find out more, or to talk to one of our experienced NJ plumbers. The process starts by sending out a NJ plumber to run a camera down the sewer line and assess exactly the kind of problems that you have. If you have roots coming out or you need a drain cleaning, or have dirt coming back. Also, if the technician detects a negative slope on your line, that’s something that probably needs to be taken care of. And that becomes the “bad news” because that means the excavation equipment comes in next. That’s when we have to dig up your yard to probably replace the line out front. We approve permits for every job that we do, we want to make sure the jurisdictions come in and check our work, so that you know that we’ve done it correctly! To actually see what’s going on inside the sewer pipes, we use sewer camera inspection. With fiber optic cameras that we can lower through the cleanout, we can view the inside of the pipe on a monitor, revealing tree roots, cracks, leaks, and other issues. This helps us decide what services you’ll actually need. While a sewer line clogged up with paper and grease can be cleared out with hydro jetting, damage to the pipe itself can require sewer repairs. Our team of NJ sewer plumbers can fix almost any problem with your sewer line. 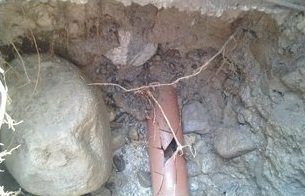 Some issues, like a collapsed pipe or severe pipe corrosion, may require sewer replacement service. Using trenchless pipe bursting, we can often replace damaged sections of pipe without the need for any disruptive sewer excavation. If you’re having problems with your home’s plumbing, call us today for drain or sewer camera inspection. If your sewer line is damaged or clogged, we can quickly fix the problem for you, often on the same day. 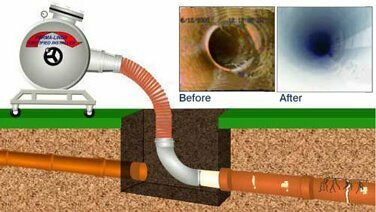 Sewer cleaning and trenchless sewer repairs are relatively quick processes that solve drainage problems and prevent flooding and water damage inside your home. If you are having plumbing problems, your sewer line is clogged or you have a water leak call us now and we will stop by to assess your sewer line and plumbing concerns. We offer a full selection of local NJ residential and commercial sewer plumbing and drain plumbing services, from minor repairs to sewer replacement and new sewer line installation. Call us today to find out more. We look forward to hearing you. Give us a call anytime day or night 201-645-0888!